Carnival Cruise Lines’ newest ship, the 130,000-ton Carnival Magic, arrived in Venice, Italy, in anticipation of its inaugural nine-day voyage departing tomorrow, May 1.
www.expertcruiser.com is onboard to report on all the festivities along with blogging about the Carnival Magic’s new features that include a huge water park, two-story adults-only Serenity area, and an expansive sports deck with a ropes course and outdoor weightlifting. Additionally there are two new dining options: RedFrog Pub, which serves its own private-label draught beer. There’s also Cucina del Capitano, a trattoria that brings the heritage of Carnival’s Italian captains to the table. Prior to departure, the ship will be officially named in ceremonies presided over by Lindsey Wilkerson, a former patient at St. Jude Children’s Research Hospital who now serves as an employee and an ambassador of the organization. The selection of Wilkerson as godmother is a tribute to Carnival’s ongoing partnership with St. Jude, one of the world’s premier centers for the research and treatment of pediatric cancer and other catastrophic diseases. Tomorrow’s nine-day cruise from Venice ends in Barcelona May 10, positioning the vessel for a summer schedule of seven- to 12-day Mediterranean voyages through October 16. Carnival Magic will then sail on a 16-day transatlantic crossing then launch seven-day Caribbean service from Galveston, Texas, becoming the port’s largest year-round ship. 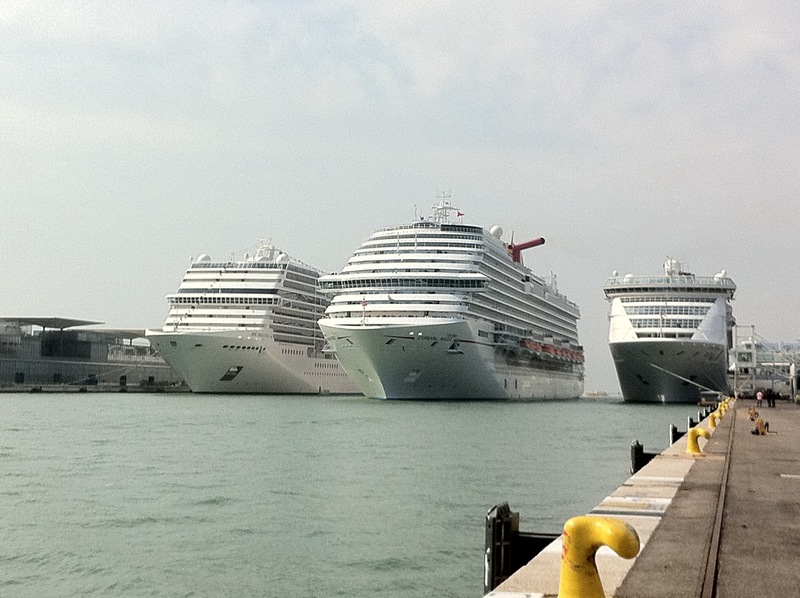 Stay tuned to www.expertcruiser.com for all the latest Carnival Magic news! © www.expertcruiser.com – Your online consumer guide for cruise travel and information. Filled Under Blog, gallery, Reviews, Twitter, What's New?